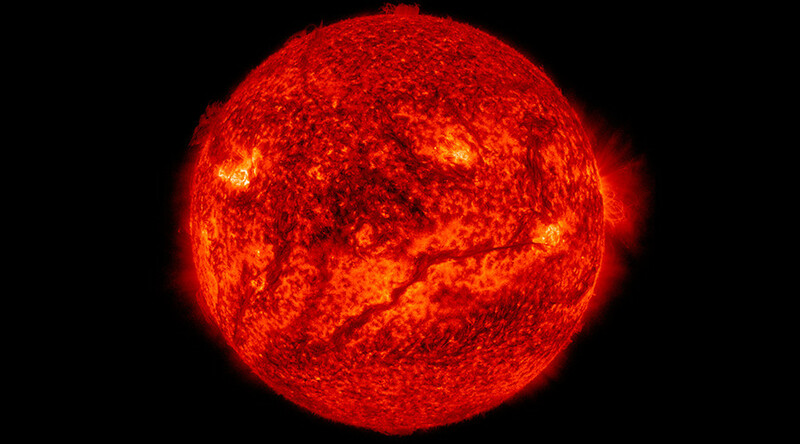 New research has offered evidence to support the theory that our sun was born with a non-identical twin named “Nemesis” and some astronomers are blaming it for the death of the dinosaurs. Scientists have long noted, and sought to explain, the phenomenon of stars having companions. Now a new analysis by scientists from Harvard and UC Berkeley suggests that nearly all stars are born with a twin. Our sun’s twin, which has been dubbed “Nemesis,” would have orbited the same point as our sun before venturing off into the galaxy. The star has never been found, but new research suggests that it must have existed because all stars are born in pairs. Nemesis picked up its ominous sounding name from a theory that suggests it launched the asteroid that killed off the dinosaurs. Researchers reached the conclusion after observing newborn stars in a large cloud in the Perseus constellation. Several decades ago researchers established that stars are born inside egg-shaped cocoons called dense cores, which are sprinkled throughout immense clouds of cold, molecular hydrogen that are the nurseries for young stars. The Perseus molecular cloud is one of these stellar nurseries, it's about 600 light-years from Earth and about 50 light-years long. “The idea that many stars form with a companion has been suggested before, but the question is: how many?” said Sarah Sadavoy, one of the researchers and a NASA Hubble fellow at the Smithsonian Astrophysical Observatory. The results support computer simulations that previously suggested stars form in twos, as well as observations that younger stars are more likely than older stars to form binary pairs. The theory that stars are born in pairs has been popular amongst astronomers for years and simulations have shown that almost all stars could be born as multiples that then spin away on their own. Before the latest study there has been a dearth of empirical evidence to support these simulations. The authors noted that the findings need to be checked in other star-forming clouds, and that more work needs to be done to understand the physics of this phenomenon. The findings have recently been accepted for publication in the Monthly Notices of the Royal Astronomical Society.